Automation in school bus system is just a sea-change in the school bus parent alert solution that enables the parents to get real-time alerts of their children’s location and current status of transportation during everyday commutation to school. The solution is great for schools, fleet owners, and parents for tracking and keeping all the updates about the driver’s behavior. It completely checks and helps to keep under control rash movements of vehicle like over-speeding and rash braking. 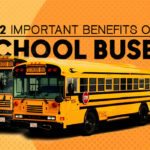 The solution has the superior potential to make sure that the transportation of the students stays completely stress-free and dependable in the to and fro regular trips to the school. As the authorities get timely information, pertaining to the movement of the school vehicle, it becomes easier for them to take corrective actions and avoid any type of untoward incident during every day transportation activities. Let’s know about some of the important features of the automated school bus system. Parents get complete information about the exact time, when the bus reaches the bus-stop for picking up the children. Parents or guardians also get prior information about any delay in service in the route. The guardians or parents get correct information about their children’s arrival and departure from the school. If any on-road accident or mishap takes place, the parents and authorities get immediate intimation. The parents could demand real-time location of the bus. The solution also reports about over-speeding, rough braking and excess speeding of the vehicle. It also reports about any mishap or happening of the road accident. The device could even detect any tampering in its installation. The solution keeps complete tab of the behavior of the driver. It could even report about real-time location and absolute report about change of route. The solution could even get in touch with the driver, when there is urgency. It keeps the activities of the driver under control and asks him to take necessary caution in case of rash driving and harsh braking of the vehicle. As various routes in the metro cities get closed due to arrival of V.I.Ps and on other important occasions, the installed system keeps everyone informed about the alternate routes that has to be followed by the driver. The school bus, operated by fuel, has the inherent drawback of emitting carbon-dioxide and causing air pollution. But the installation of automated bus system is absolutely eco-friendly. The components like RF readers, sensors, telematics system, communication device, adaptors, and mobile applications do not cause any type of air pollution. Overall, this also results in the optimization of efficiency by tracking engine which results in helping the fleet managers, school management, and the government in pollution control and reaping highest benefits for the environment. The solution makes sure that during the movement of the school bus, there is least human intervention. With the implementation of this solution, the movement goes through an automated and programmed procedure that keeps the bus absolutely safe and almost error-free during the transportation. The smart functions and automation make sure that the driver of the bus stays out of any undesirable human intervention and he feels comfortable during driving. The solution has helped to improve traffic safety, working conditions of the school bus staff, and bring reduction in impact of the vehicle on the environment. As safety is the first priority in the plying of school bus, the automated system in school bus largely meets other objectives of the transportation like cost- efficiency, increased dependability on the means of public transportation, security, and better return-on-investment. The solution has the great strength to deal with every type of complication during transportation. As the information system in the solution functions smartly, it entrusts better control in the authorities and driver, whenever there is adverse circumstance due to rough weather. Rain, storm, and other adverse weather conditions create worst road conditions. 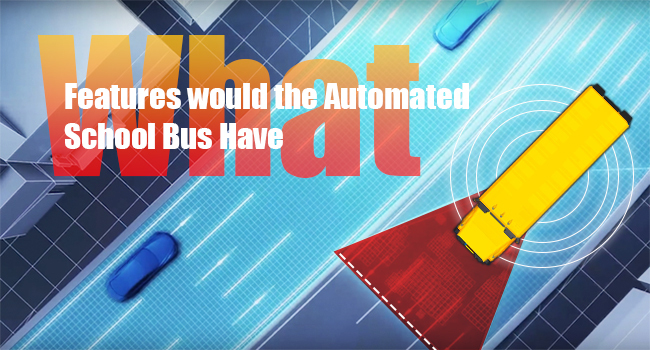 A bus equipped with automated bus system has the greater ability to detect road conditions. It guides the driver as per the guidelines set for the driving of the school bus. As an automated school bus has the deployment of automatic tire chains which is helpful in keeping the pick-up routes in tact in case of an emergency situation. This not only keeps the children safe in the bus during the journey but also have smarter time management. With the introduction of automation in the school bus system, the behavior of the bus driver comes under deep observation. As driver is the most important person in the entire transportation route, the solution literally integrates scientific management in the entire functioning of the transportation system. Reducing the idle time to the minimum, the authorities in the transportation system get better control over the day-to-day expenses. As the key areas like scrutiny of the driver log sheets, engine diagnostics, and fuel consumption come under scrutiny, it helps the management to run better control and achieve productivity. As tracking of the school bus gets easier, the children could get relief from long waiting period. Parents and students get constantly notified about the arrival and departure of the bus and that considerably reduces the time spent by the students in waiting. 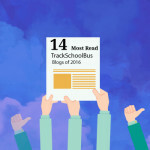 Resulting in superior time management, it eliminates unnecessary time spent by the students, waiting for the bus. The GPS-enabled school bus system gets the superior software that tracks the movement of the bus completely. This also keeps tab of the engine and body conditions of the bus. As a result, the authorities take the bus for maintenance after every interval period. This endows better longevity on the bus. Through mileage tracking from fuel consumption, the authorities keep track of the warranty period for free maintenance of the bus. This also enables the management to go for extended periods of warranty for the maintenance of the school vehicle. This leaves no chance for occurrence of faster wear and tear of the bus as maintenance work takes place regularly. As “coordination” is key to successful management, highest coordination for safety and related responsibilities is only possible through successful application of this automation in the bus system. The solution helps the managers to apply better management procedures that give them highest productivity in the end. As a management tool, the solution also helps them to implement new plans and get optimum returns in terms of successful tracking, fleet management, and end of waiting for the arrival and departure of the bus. 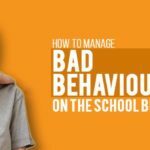 Mischievous nature of the children invariably poses a threat to the management of school, while the bus passes through the transit. As the automated buses have the installation of surveillance cameras, the school authorities could exercise control over the students, creating mischief inside the bus, while the vehicle passes through the transit. The camera inside the bus records the activities of the students inside the bus and the authorities of the school could view it regularly at the end of the day. Some of the automated buses even install IP camera and wireless networking, which telecasts the activities inside the bus directly to the school as the bus passes through the transit. The students often indulge in boarding the bus at the wrong stop and even alighting at the wrong stops with an intention to roam after the everyday school hours. The automated bus system systematically records the attendance of the students with the regular recording of boarding and alighting of the students at their points. Many of the buses have even installed RFID card reader that makes minute observation of students’ attendance inside the bus. In such a case, every student carries a RFID card that the students would use at the entry and exit points of the bus for the regular recording of boarding and alighting from the bus. As the perceived threat to the transportation in the school bus has increased manifold in the past with the heightening in terrorism, anti-social activities, and accidental fatalities. The automation in the school bus system could literally put an end for the worries of the parents and headache of the authorities. The new solution even keeps related information of the child like name, contact details, and blood group. This helps in tackling emergency situations, arising unexpectedly at any point of time.